Colorful fabric jewelry helps women artisans in India lead better lives. 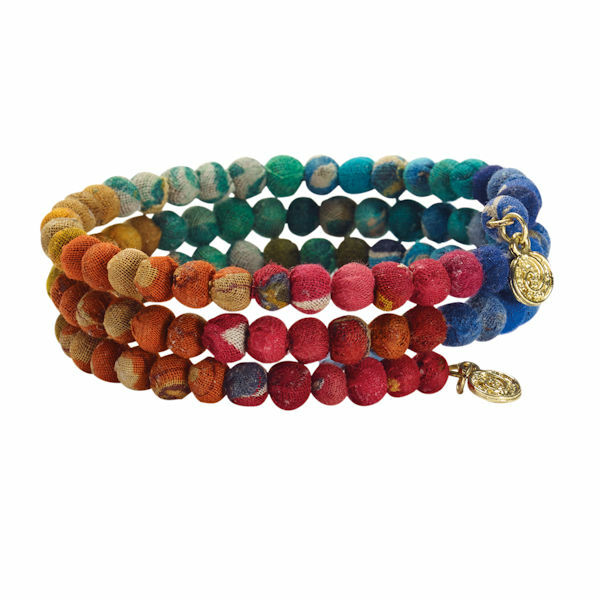 Beads are recycled Kantha cloth wrapped around hand-carved scrap wood. Bracelet is a spiral of memory wire accented with bright brass discs. 25" long. Cluster earrings hang 1½" on hypoallergenic French wires. Colors and patterns will vary. Fair Trade items from India.